Synopsis: A woman leaves an Austrian convent to become a governess to the children of a Naval officer widower. Did You Know? To keep the children entertained between takes, Julie Andrews sang “Supercalifragilisticexpialidocious” to them. Mary Poppins had not yet been released, so they thought she’d made it up on the spot. Quotables: CAPTAIN VON TRAPP: It’s the dress. You’ll have to put on another one before you meet the children. MARIA: But I don’t have another one. When we entered the abbey our worldly clothes were given to the poor. MARIA: The poor didn’t want this one. I don’t remember if I’ve already stated this in one of the almost 200 reviews I’ve done for my Oscar marathon, but a person’s feelings toward a film are greatly influenced by the moment at which a person first watches it. 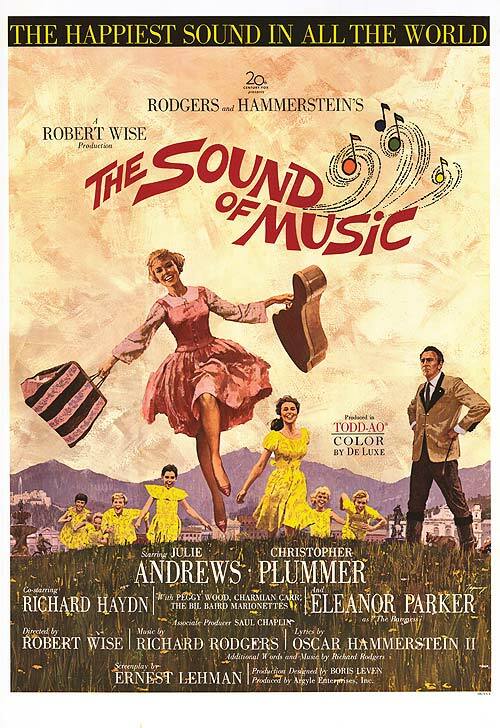 I never watched The Sound of Music until I was an adult, so I am not as enamoured with it as I otherwise would have if I had seen it as a child. Don’t get me wrong, it is a great film, with a delightful and wholesome story, but much of its magic was lost in my adulthood. Like so many other musicals, I watched it during my “I hate musicals” phase. I have a much deeper appreciation for the film now though.